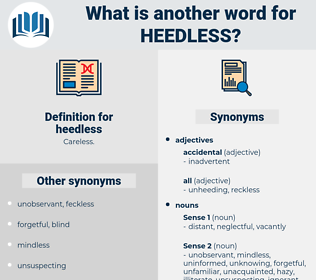 What is another word for heedless? observant, cautious, concerned, thoughtful, attentive, caring, careful. paying attention, calculating, on hand, ready, scheming, wide-awake, shrewd, prompt. Flames were being kept brisk for little boys who were heedless of sacred matters; his home teaching convinced him of that.
" 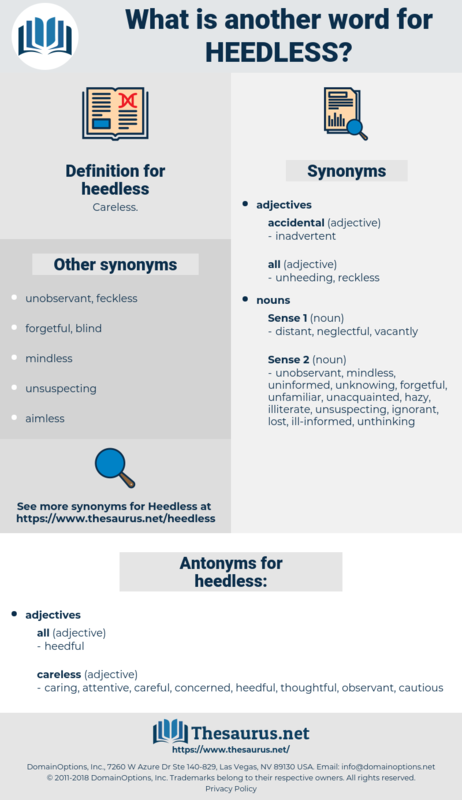 I have been heedless, heartless, perhaps -" " You!"